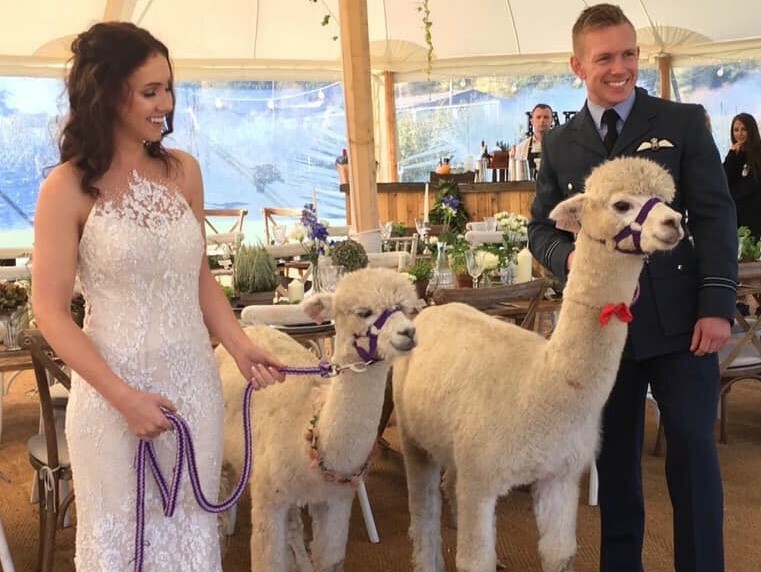 If you are looking for that special "wow" moment to make your wedding unforgettable then we can definitely recommend a wedding with alpacas. Our animals are gentle and loving with their soft "hums" they will be certain to charm and entertain your guests. They can be as involved in your wedding as you wish, from a small background feature to your main event the choice is yours. We offer three different Wedding "Alpackages" that we have designed to suit most wedding sizes, venues and budgets. If you have any special requests we will do our very best to accommodate them so please do ask. Our handler will lead the alpacas through your guests and provide plenty of opportunity for petting and nose nuzzling. We will then supply the alpacas for photographs so both you and your guests can capture those precious memories. We will set up our petting pen ready to greet your guests as they arrive. Friends and family will have the unique opportunity to pet and photograph our alpacas. 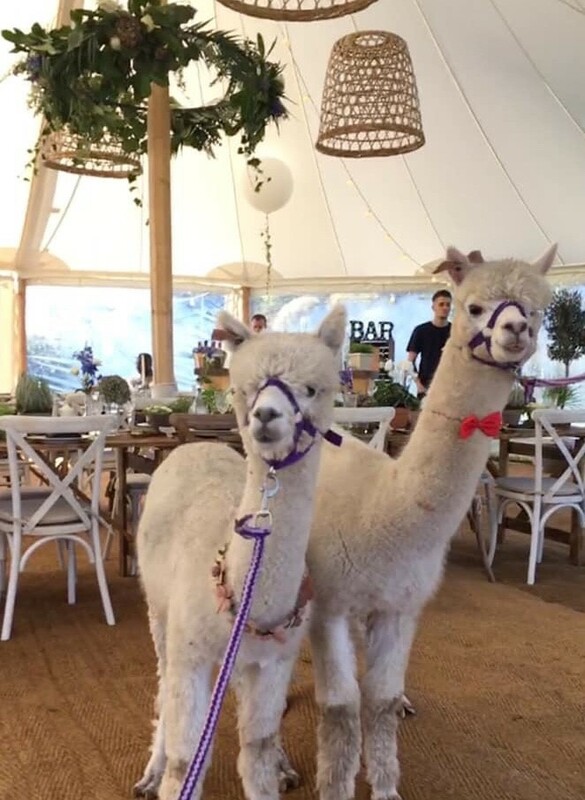 We can remain at your venue for your drinks reception, two animals will stay in the petting pen and our handler will lead the others to mingle with your guests. 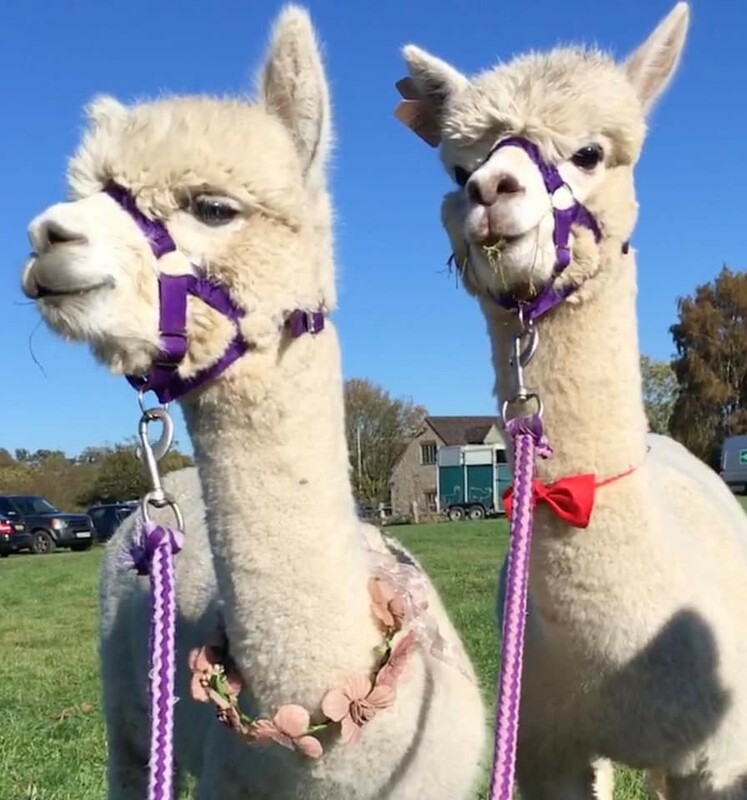 Our alpacas will be on hand for wedding party photos having perfected the alpaca "selfie"
One handler manages our petting pen and is on hand to take photos. 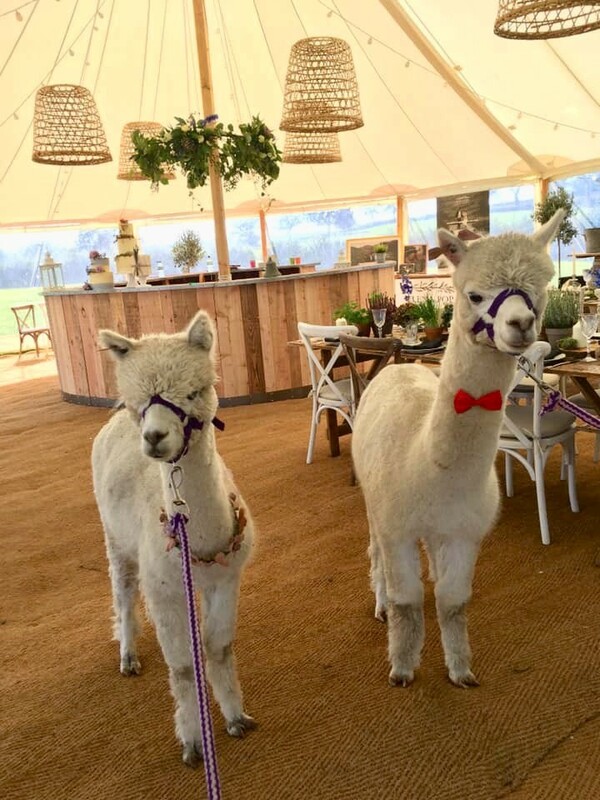 The second handles two of our alpacas on leads and is placed wherever convenient for you, usually at the entrance to your venue or ceremony room, ready to greet your guests. This is also a great time to get some quirky groomsman photos with our animals! We can remain at your venue for your drinks reception where our two handlers mingle through your family and friends. 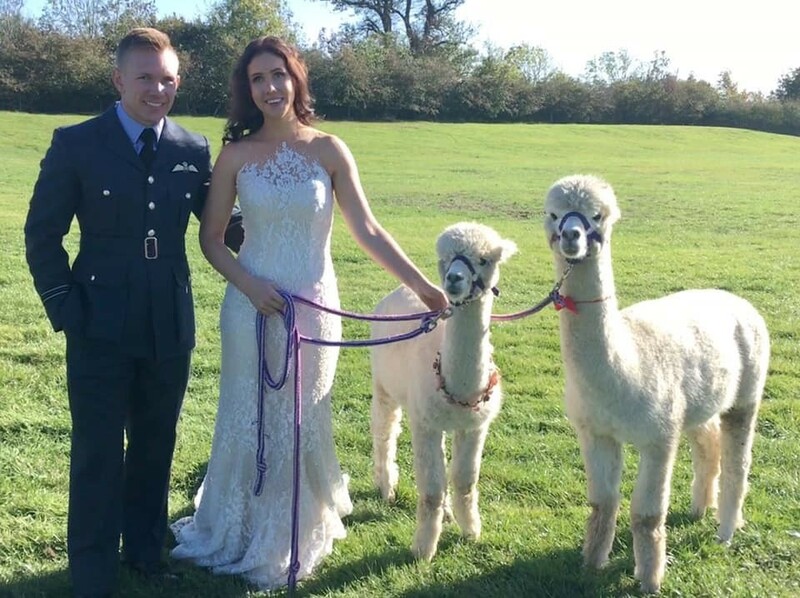 The Platinum experience concludes with time for the bride and groom to take an alpaca each for a meander around your venue. For venues more than 15 miles from our farm in Kenilworth in Warwickshire a small travel fee of 75p per additional mile will be charged for alpaca transportation. ©2019 | Disclaimer — built by Boondock Services.